THE GIFT OF THE MAGI - This is the classic O Henry story of the poor young couple who each sell the thing most dear to them to buy the other a Christmas present – this version is illustrated by Lisbeth Zwerger making it especially beautiful. 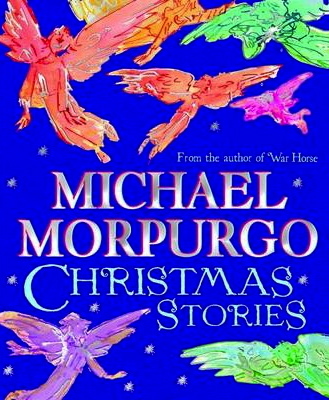 CHRISTMAS STORIES - my all time favourite author to read aloud, Michael Morpurgo's words are always perfect. Here, they're combined with amazingly beautiful artwork from some of Britain’s best illustrators. There are four stories and they’ll take up to an hour each to read aloud, so perfect for a car trip or plane ride. AMAHL AND THE NIGHT VISITORS DVD - Watching the DVD has become a favourite Christmas Monday night tradition. THE FAMILY UNDER THE BRIDGE - This one isn't a Christmas story as such, but it is set around Christmas time, it’s heartwarming and it’s set in Paris - the story of children who become family to a man who didn’t know he wanted a family. Christmas for me is all about long days, warm nights, outside play in the dark, a bath or a swim and then a chapter or two of a story read aloud to the whole family. Then there's the summer camping trip where a read-aloud book after dinner is essential! Or, rainy days when it’s thundering and pouring for a whole day which require a play in the rain and an ice-block and still leave time for a few more pages. All of which means that Christmas stories full of snow and fur lined coats feel almost surreal. But we love them anyway and today's selection are good for both hemispheres.